This post will show you how to form the Future Simple. To see how to use the Future Simple, click here. The FOUR future forms are: Be Going To, Present Progressive (also called the Present Continuous), Will, and the Present Simple. I am going to help later. You are going to work tomorrow. She/He/It is going to rain again. They/You (plural) are going to send her a package. I am not going to finish in time. You are not going to go away this weekend. She/He/It is not going to see the doctor. They/You (plural) are not going to buy a new car. Are you going to clean the house? Is she/he/it going to study next semester? Are we going to stick to the plan? Are they/you (plural) going to live in New Zealand? Yes, he is. No, he’s not. Yes, they are. No, they’re not. Who are you going to call later? What is she going to do tomorrow? When are they going to study at the library? Who (subject) is going to win the election? What (subject) is going to happen next? You ‘re moving next week. They’re/You’re changing schools next month. You’re not taking an exam tomorrow. She’s/He’s/It’s not playing soccer next Saturday. We’re not staying with relatives. They’re/You’re not graduating this semester. Am I going to work tomorrow? Are you moving to Japan? Is she/he/it going to Europe next summer? Are we doing anything for Valentine’s Day? Are they/you (plural) coming to the party this weekend? Who are you calling later? When are they studying at the library? Who (subject) is going to head office? What (subject) is happening next? I’ll study much harder, I promise. You’ll be cold without a jacket. She’ll/He’ll/It’ll most likely have a good time at the party. We’ll hopefully see piranhas in the Amazon. They’ll/You’ll (plural) probably do their homework in the morning. I probably won’t exercise tomorrow. You won’t be happy about this. She/He/It won’t spend the summer in Hollywood. We most likely won’t live on Mars in the future. They/You (plural) probably won’t like the weather in Wisconsin. Will I see you next week? Will she/he/it finish this soon? Will they/you (plural) be on time for class tomorrow? Yes, I will. No, I won’t. Yes, they will. No, they won’t. Who will you call later? What will she do tomorrow? When will they study at the library? Who (subject) will go to head office? What (subject) will happen next? I leave on a 6:00 am flight. We open the store at 9:00 am. They/You (plural) close at 5:00 pm. I don’t leave on a 6:00 am flight. You don’t arrive tomorrow night. She/He/It doesn’t start next fall. We don’t open at 9:00 am. They don’t close at 5:00 pm. Do I work early tomorrow? Do you arrive next week? Does she/he/it start on time? Do we leave after breakfast? Do they/you (plural) go to the airport this Sunday? What does she do to register? When do they arrive in Kenya? Who (subject) goes to head office tomorrow? Adverbs of frequency tell us how often something happens, and they can be either definite or indefinite. Because we are talking about repeated or habitual activities, adverbs of frequency are usually only used with the Present Simple tense. Hourly, daily, weekly, monthly, yearly. Every minute, once an hour, quarterly. Once, twice, three times, a million times. Definite adverbs of frequency usually go at the end of the sentence, like most definite time expressions. Most businesses submit their taxes quarterly. He checks his watch every minute. The bell rings every hour. Every night, we stay up late to study. Twice a year, she goes to Chile. Every year, thousands of people are misdiagnosed. 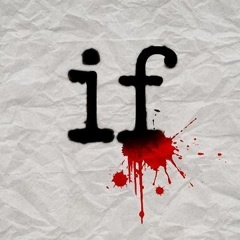 Adverbs of indefinite frequency usually go in the middle of the sentence before the main verb, except the verb “to be“. We always walk to school. She usually drinks coffee in the morning. They generally study at the library. I am often on time. We usually have to wake up early. He always has to drive his kids to school. Usually we eat dinner at 6:00. Occasionally I walk around the seawall. We do that too, usually. ✔ Sometimes they eat healthy. ✔ They sometimes eat healthy. ✔ They eat healthy sometimes. ✔ She always works hard. ✘ Always she works hard. ✘ She works hard always. For questions and negative statements, the adverb goes before the main verb, except the verb “to be“. Why do they always complain? Who is she constantly talking to on the phone? I don’t often eat fast food. I‘m not normally this irritable. Negative adverbs like “never”, “seldom”, and “rarely” do not go at the end of the sentences. They can go at the beginning of the sentence to add a strong emphasis, but then the rest of the sentence must take a question form, even though it is a statement. Never have I seen such a beautiful woman!! Seldom does he work so late. Rarely do I get straight A’s. Negative adverbs, such as seldom, rarely, and never aren’t usually used in the negative or question form. ✘ I don’t seldom get to school on time. ✔ I seldom get to school on time. ✔ I don’t usually get to school on time. ✘ Do you rarely eat sushi? ✔ Do you often eat sushi? They are constantly playing loud music. She is forever talking on the phone. Stative, or non action verbs do not express action. 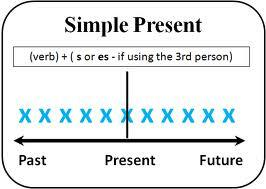 They express a state or condition, and usually only occur in the Present Simple. When they do occur in the Present Progressive, there is often a difference in meaning. ✔ He owes me money. ✘ He’s owing me money. ✔ They seem happy. ✘ They are seeming happy. ✔ I forget his name. ✘ I’m forgetting his name. ✔ She knows the answer. ✘ She is knowing the answer. Some verbs can be both stative and active, with a difference in meaning. The “be” verb is usually stative, but when it’s used in the continuous it suggests temporary, or atypical behaviour.